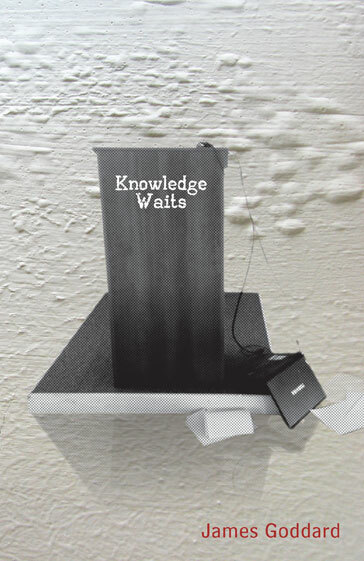 Two weeks since ‘Knowledge Waits’ was published and sales seem, according to the Guru Godleman, to be moving along well enough. So why do I feel that by now it ought to be in the charts that appear in the quality papers every weekend? The comments and reviews that have appeared on Facebook and Amazon so far don’t really help: so many people saying they like the novel, that it made them laugh and that it’s well-written all inflate the ego way beyond its already grand size, and when you are starting to think you are the new Julian Barnes or Kate Atkinson it’s quite tough to accept that sales-wise you’re still James Goddard. Even my wife’s sister, Louise, who in reading the novel is doing something her elder sister has yet to do, commented that she was enjoying it, and not just because it was written by a relative. The fact that she forgot, mid-reading, that it was written by me, seems to be a promising sign. I always knew that woman was wise and perceptive. I am seriously beginning to wonder nevertheless just how many more complimentary comments Mrs Goddard will need to hear before she can bring herself to read it, but if it takes thousands of sales to convince her to do so, that’s fine with me. I can wait for her critical analysis from the other end of the dining table. James Goddard wanted his first novel, Knowledge Waits, out by the time he was sixty, but missed the deadline by six weeks. Read more about James.